Spook out your friends with our whole range of Halloween gifts! 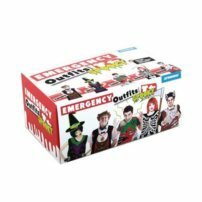 Avoid the fright of giving an unwanted present when you choose one of our scarily awesome gifts for Halloween. We stock a wide range of fun novelty gifts, just perfect for the spookiest day of the year. Whether you want to turn your house into a haunted house with themed decorations, or bring a party gift with you to the big bash, we’ve got the perfect selection of Halloween gifts for you. And, with superfast delivery at ExactlyWhatINeeded.com, there won’t be any postal frights to worry about!